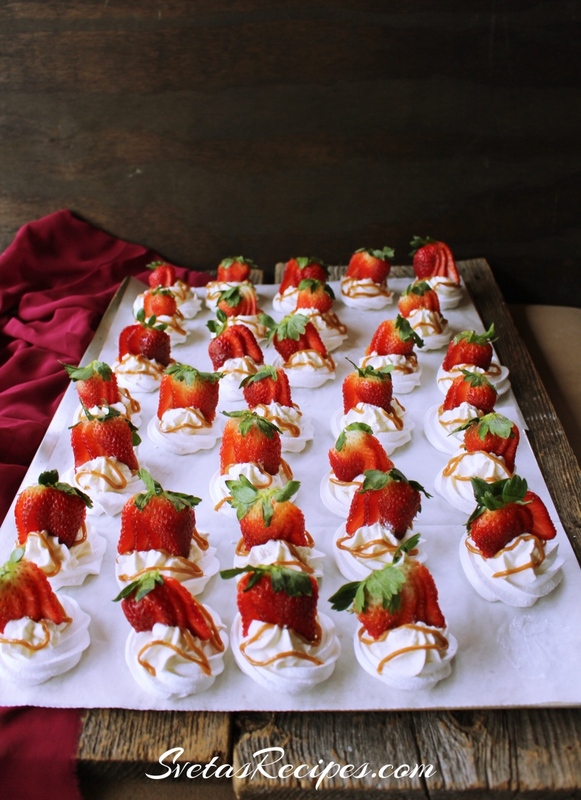 If you’re looking for a quick and easy dessert than it’s definitely Easy Pavlova. This dessert includes meringue with fresh fruits and soft cream. Its great to eat right after making it, Thats when it taste the best. 1.) Separate your eggs into whites and yolks. 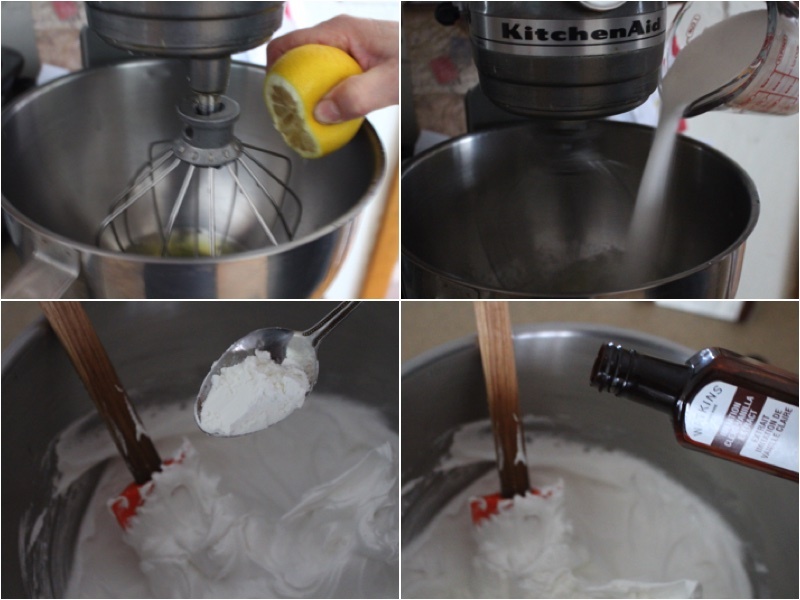 Also add your egg whites and a few drops of fresh lemon juice into a mixer bowl. Beat on medium speed and add sugar gradually. 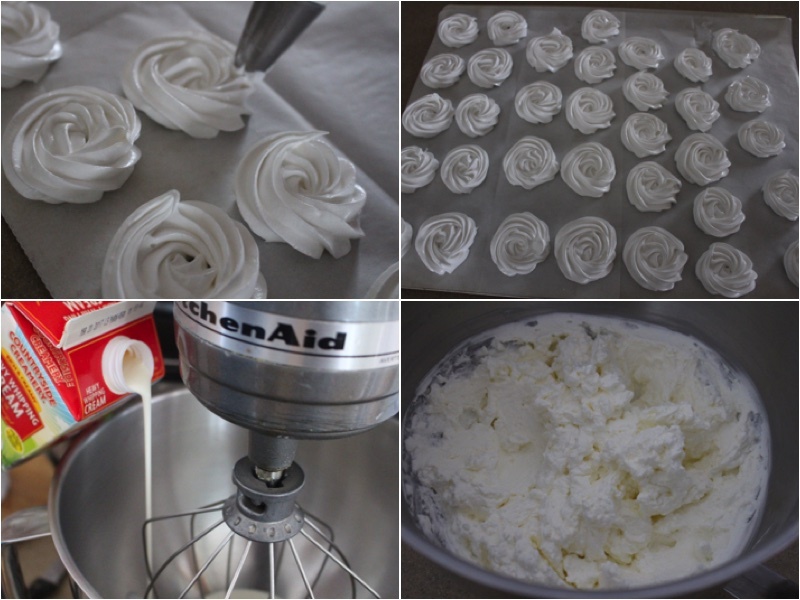 Beat until you have a soft and fluffy cream. Add corn starch and a few drops of vanilla extract. Mix with a spatula. 2.) Using a decoration bag with a star tip pipe out small roses. Preheat your oven to 270ºF and bake for 30 minutes. Lower your heat to 175º and cook for 2 hours. 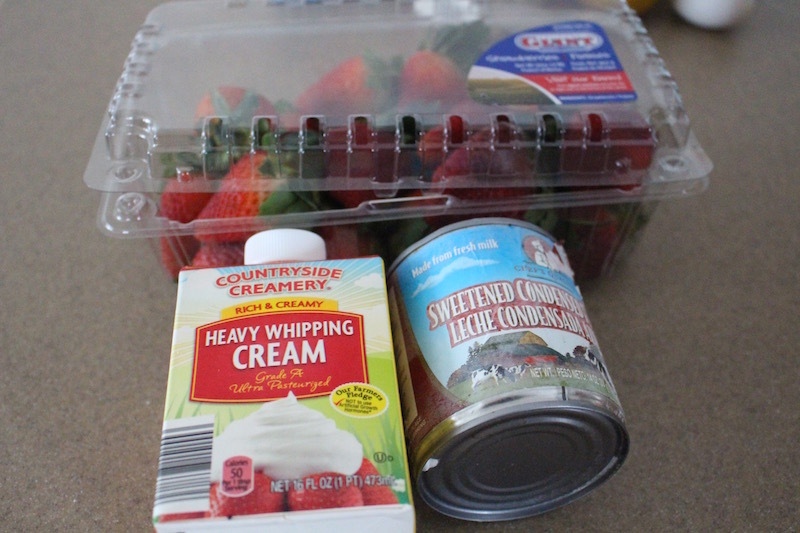 While it’s cooking beat your heavy cream until it becomes a soft cream. 3.) Take out your roses and let them cool. Using the sane decorating bag with the same star tip, pipe out an extra layer onto your rose. In a ziplock bag add your Cooked Condensed Milk and cut a hole at the top. Pipe out lines on your roses. Wash, dry and slice your strawberries.Put them on top of your roses. Place on a serving dish and enjoy. 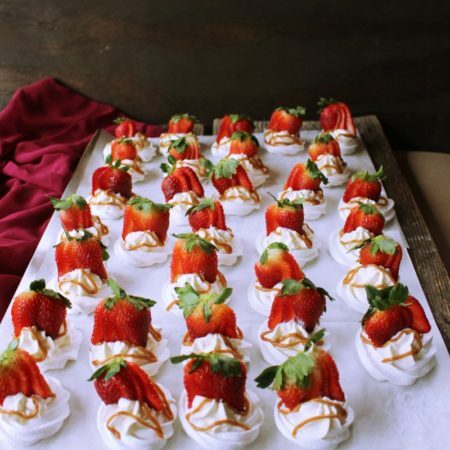 If you're looking for a quick and easy dessert than it's definitely Easy Pavlova. This dessert includes meringue with fresh fruits and soft cream. Its great to eat right after making it, Thats when it taste the best. Separate your eggs into whites and yolks. Also add your egg whites and a few drops of fresh lemon juice into a mixer bowl. Beat on medium speed and add sugar gradually. 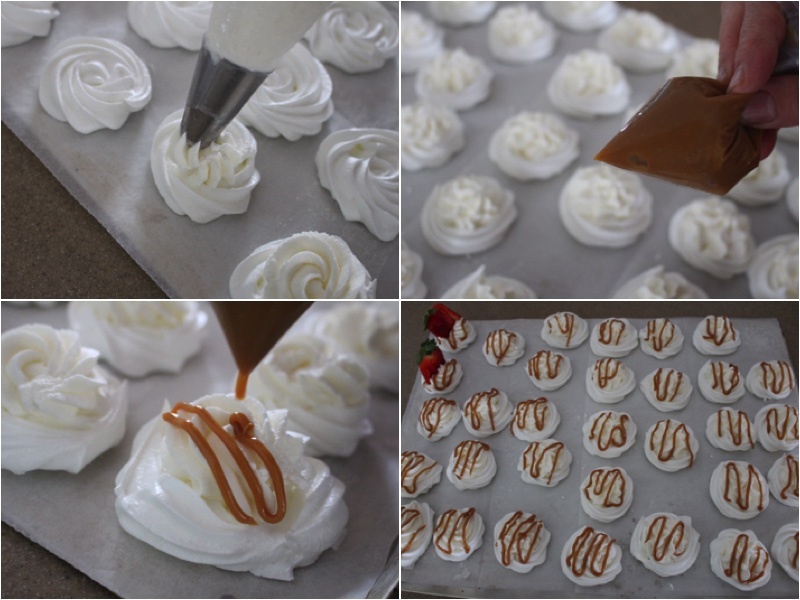 Beat until you have a soft and fluffy cream. 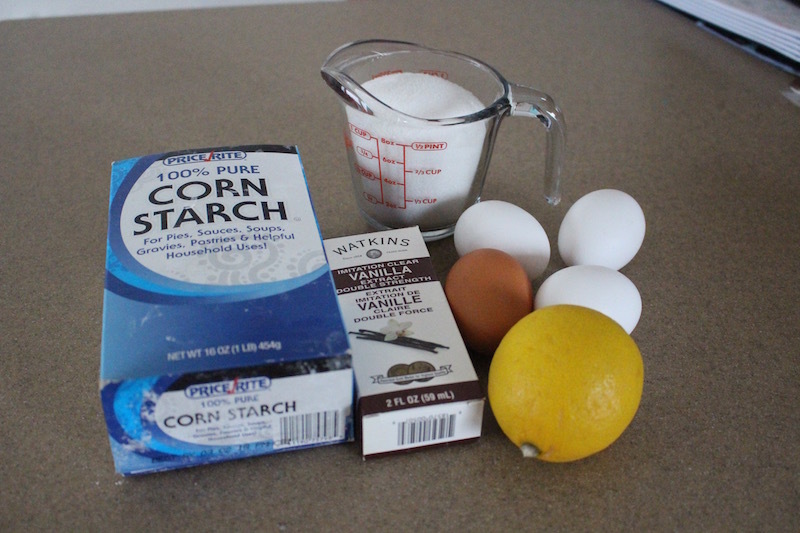 Add corn starch and a few drops of vanilla extract. Mix with a spatula. Using a decoration bag with a star tip pipe out small roses. Preheat your oven to 270ºF and bake for 30 minutes. Lower your heat to 175º and cook for 2 hours. While it's cooking beat your heavy cream until it becomes a soft cream. Take out your roses and let them cool. Using the sane decorating bag with the same star tip, pipe out an extra layer onto your rose. In a ziplock bag add your Cooked Condensed Milk and cut a hole at the top. Pipe out lines on your roses. Wash, dry and slice your strawberries.Put them on top of your roses. Place on a serving dish and enjoy. Пирожные выглядят очень красиво, уверенна что вкус еще лучше.